I fell in love with the deep-sea through my work on octopuses and my research now has two separate strands: cephalopod ecology and evolution and biodiversity and ecosystem functioning of submarine canyons. During my PhD on Antarctic octopuses I uncovered an endemic radiation of species and later, with my collaborator Jan Strugnell, showed how deep-sea octopuses found throughout the world’s oceans had their evolutionary origins in Antarctica. This led to a long-term fascination with cephalopod evolution, a subject which is far from resolved, and on which my group is still working. Since 2010 I’ve been leading a cruise programme to submarine canyons on the Irish continental margin. We have been deploying the National deep-water ROV Holland I from RV Celtic Explorer to study the vulnerable marine ecosystems of the canyon walls, and document their remarkable biodiversity. I am currently funded by Science Foundation Ireland to seek new marine natural products from Ireland’s deep sea. A collaboration with USF’s Bill Baker, this project is truly interdisciplinary, with a huge chemistry component. I’m Jesús Amieiro, telecommunication engineer and ICT craftsman working as a technical director at Quadralia. I am dedicated to the development of customized projects, mainly in the field of health and marine traceability. As technologies, I find myself very comfortable with Laravel, Git, WordPress and, fundamentally, with free software. In my spare time, I try to run marathons, ultra marathons and, above all, long walks in the mountains. Fábio L. Matos is graduated in Biology and holds an MSc degree in Ecology, Biodiversity and Ecosystems Management. In 2014 he enrolled in the Doctoral Program of Biology and Ecology of Global Change – University of Aveiro/CESAM. His thesis is focused on studying ecological connectivity of biological communities and habitats in submarine canyons using network analysis. 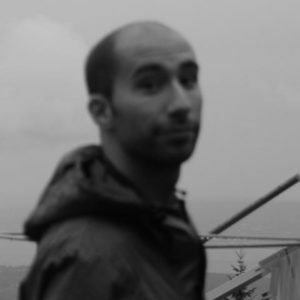 He is an enthusiast of data analysis and visualisation and works to provide scientific evidence that supports decision-making in marine conservation.Since March of 2018 is a team member of the project Cephs and Chefs. 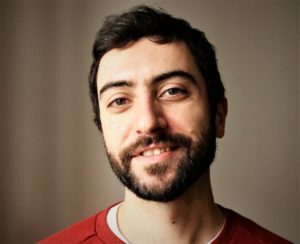 Researcher of IPMA and CIIMAR qualified with aggregation/habilitation to scientific coordination, performs activities in the areas of quality and safety of seafood products and valorization of underutilized fish species and natural extracts from marine sources focused on marine by-products biotechnology. Has thirty eight years of scientific experience in the development of European and national research projects in cooperation with other national and international research organizations and SME’s. Currently head of the biochemistry laboratory of the Division of Aquaculture and Valorization of IPMA and Principal Investigator of CIIMAR Research Group, Emergent Biotechnologies and Seafood Processing of the Thematic Line, Marine Biotechnology. Under supervision more than thirty undergraduate, master, doctorate and postdoctoral students were oriented and dissemination of the scientific activity resulted in the publication of more than eighty scientific articles in referenced international journals. Development of innovative seafood products with increased functional properties for better use of all products and by products from the fishery and aquaculture sectors. Quality and safety of seafood products. In 2014, I finished my PhD in population ecology of long-finned pilot whales (University of Minho, Portugal). The monitoring and evaluation of marine animals’ bycatch during my PhD and the toxicological evaluations performed over two post-doctoral fellowships revealed my willingness to understand the impact of human activities on marine ecosystems and to establish the link between marine science and the social actors involved in the marine economy. Since March 2018, I am a team member of the EU Interreg project “Cephs and Chefs”. I currently work at Instituto de Investigaciones Marinas (CSIC) in Vigo (Spain) and am Visiting Professor of Marine Science at University of Aveiro. I have been involved in research on cephalopods for almost 30 years, including work on life history, ecology and fisheries (see for example http://www.ices.dk/sites/pub/Publication%20Reports/Cooperative%20Research%20Report%20(CRR)/crr325/CRR%20325.pdf, and am currently co-chair of the ICES Working Group on Cephalopod Fisheries and Life History. 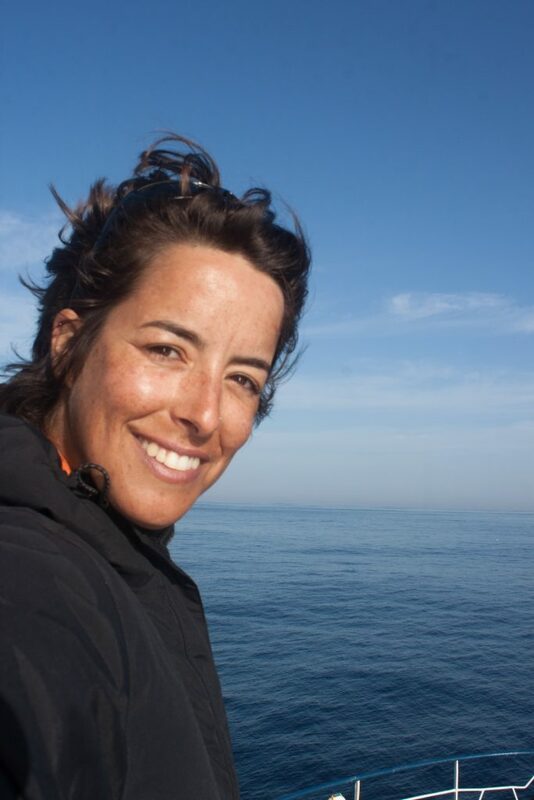 Cristina is currently a researcher at the Centre for Environmental and Marine Studies (CESAM), University of Aveiro (Portugal). Her primary areas of research focus on sustainable use of marine resources, fisheries management and socioeconomics, coastal governance, and coastal community development. She is currently involved in several EU and national projects focused on fisheries socioeconomics, management, and adding-value to seafood products (H2020 PERICLES; INTERREG CephandChefs; BIOFISH-QoL; SARDINHA2020; GOBAMP II; CRUSTAPENHA). She has been involved in research related to socioeconomics and cephalopods for over 20 years, takes part in several committees at the International Council for the Exploration of the Sea (ICES), such as ICES-WGSOCIAL (work group on social indicators), ICES-WGCEPH (work group on cephalopod Fisheries and Life History), ICES-WGRMES (work group on Resilience and Marine Ecosystem Services), ICES-SIHD (Strategic Initiative on the Human Dimension in Integrated Ecosystem Assessment), and is co-leader of the market opportunities cluster in the TBTI network (Too Big To Ignore – a global partnership involving over 22 countries working on small-scale fisheries; http://toobigtoignore.net/research-cluster/market-opportunities/). 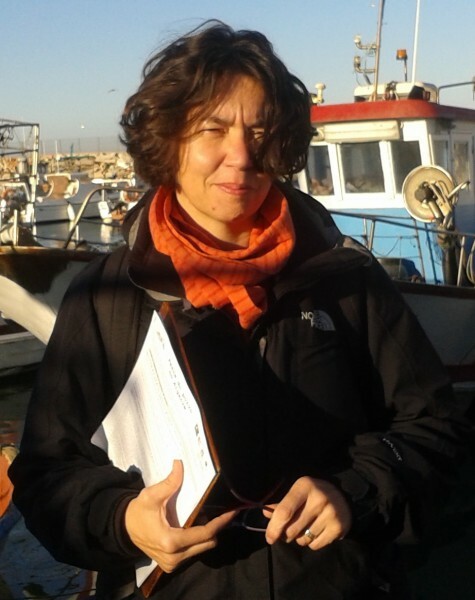 She is the PI at the University of Aveiro of the EU Interreg project “Cephs and Chefs”. PhD in Marine Biology and Aquaculture, I am also Professional Diver and Specialized Technician in Aquaculture. My research focuses on the integrated management of coastal ecosystems, fisheries management, sustainability and conservation of marine biodiversity. Research on coastal fish communities and coastal fisheries, including recreational, is a central theme of my scientific career. In addition, I develop and use regularly different methodologies of social work, particularly, anthropological tools for collecting and processing local knowledge of fishers. I have also specialized in the use of new technology in the research of marine populations such as ultrasonic telemetry, remote underwater cameras and ROVs. 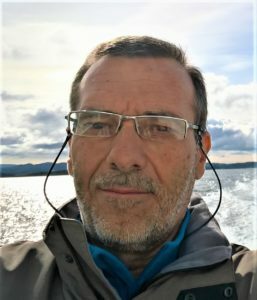 I am working in the Applied Economy Department of the University of Santiago de Compostela, and I am member of the ICES Working Group on Recreational Fisheries Surveys and Working Group on Resilience and Marine Ecosystem Services, and of the editorial board of the international journals: Animal Biotelemetry of BioMed Central and Marine Affairs and Policy, a specialty of Frontiers in Marine Science. I am interested in fundamental fisheries science including growth rates and density dependence in Dublin Bay prawn, Nephrops norvegicus. I am also working in applied sustainability studies in ‘Cephs and Chefs’, which will carry out integrated ecosystem assessment for squid, octopus and cuttlefish in the Atlantic Area (France, Ireland, Portugal, Spain, U.K.) and will work with fishers to help them explore the benefits of certification for sustainably fished cephalopods. I am interested in overfishing of wild populations (e.g. for cleanerfish production) and have ongoing projects on ballan wrasse biology including morphotypic variation and its connection with bile pigments. I am also a member of the ICES working group on zooplankton ecology. I am an early-career researcher at Campus do Mar, University of Santiago de Compostela, Spain, where I am currently doing my PhD studies in Marine Sciences. My research focuses on the relationships between human well-being and the marine environment, the synergies and trade-offs between marine biodiversity conservation and human well-being, and on equity issues and mechanisms of access of local populations to marine ecosystem services. I have published scientific articles on small-scale fisheries governance, seafood value chains, and marine ecosystem services. Currently, I am a member of several working groups on marine ecosystem services – ICES, ESP and Ecomar – and fisheries governance – OceanGov Cost Action. Since early 2018, I am employed at “Cephs and Chefs”, a EU Interreg funded project which is carrying out integrated ecosystem assessments of cephalopod fisheries in the EU Atlantic Area (Portugal, Spain, France, Ireland and the UK). PhD in Biotechnology, is a researcher of IPMA in the Division Aquaculture and Valorisation of the Portuguese Institute for Sea and Atmosphere. 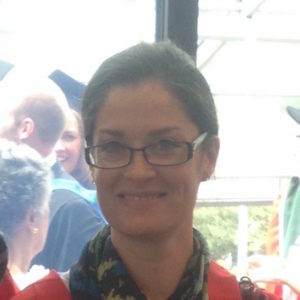 Presently is the National Coordinator of Group for Monitoring Mollusc Bivalves, head of the Molecular Biology Lab, co-responsible in the Microbiology Lab. She has 30 years of experience in a broad range of subjects on the Fisheries sector on research and training and national and international project proposals, coordination and development. Member of the quality management system and of IPMA scientific council. Sensory analysis, nutritional, biochemical and microbiological characterization of aquaculture and fishery products. Currently coordination of one National Projet and participation in 6 national and European projects including Ceph & Chefs. My research focuses on socio-economic and institutional analysis of marine and coastal ecosystem services; climate change and social-ecological systems. I combine quantitative and qualitative methods to understand linkages between natural and social components of marine systems at multiple scales. 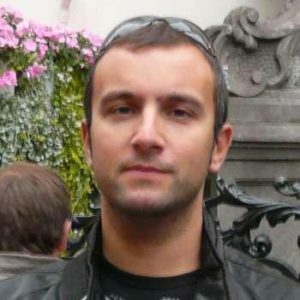 Dr. Sebastian Villasante is an Assistant Professor at the University of Santiago de Compostela (Spain). His main research areas include understanding social adaptation, transformations and vulnerabilities of marine social-ecological systems to global change, and examining trade-offs in managing and conserving living marine resources. 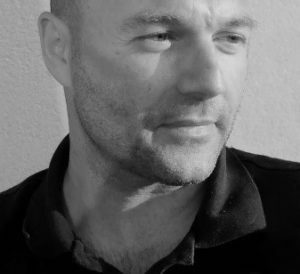 His works cut across multiple disciplines, from ecology, economics to social sciences, and range from local to global scales. Sebastian has published over 120 peer-reviewed publications, including papers in leading international journals. Sebastian is also actively involved in international and regional initiatives that bridge science and policy. For instance, he was the founder of the ICES Working Group on Resilience and Marine Ecosystem Services, Coordinator of the Working Group on Monetary Valuation of ecosystem services of the Ecosystem Services Partnership, and co-founder of the Working Group on Small-Scale fisheries in Galicia (NW Spain). 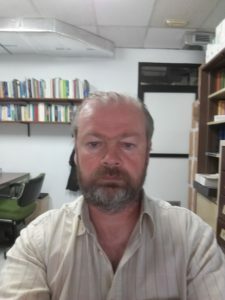 He serves as member of the editorial board of Frontiers of Marine Sciences, and as scientific advisors in a number of international and local organizations including Future Earth, International Council for the Exploration of the Sea.